The 10 Best Bakeries in Arizona! If you have a sweet tooth, Arizona has a long list of places that can help you out. 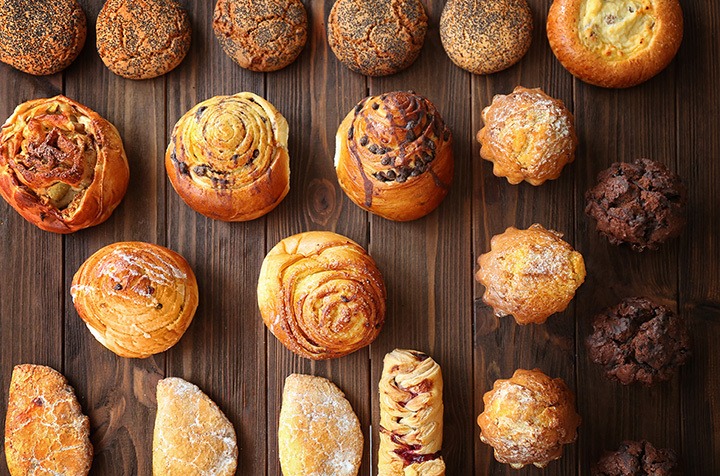 The state has an abundance of quaint bakeries and grand cake shops, featuring scrumptious pastries and fluffy, warm, fresh-out-of-the-oven bread. Is your stomach rumbling yet? Here are the 10 best bakeries Arizona has to offer. Located in a quiet and artsy street of Tucson, Café Marcel offers a beautiful view of the city. This place is famous for its Nutella crepes, and European pancakes that come with a variety of yummy fillings. Also the menu of this bakery is constantly changed and updated as per the demands of the customers, thus offering more variety. This three-in-one, Tucson-based bakery is an espresso bar, sweet shop, and café where you can enjoy delicious snacks or a delectable meal with your friends. And the fun, quirky, and vibrant interiors of the place along with the extensive menu can cheer up the sourest of moods! Run by culinary experts, Honey Moon Sweets goods have been “baked with love for over 14 years!” as their website proclaims. From gourmet cakes, to rich brownies, to tarts that will tickle your taste buds, this place will satisfy your sweet craving. Set in the charming Stevenson House at the Museum of Art, this café offers a fine assortment of breakfast and supper meals to customers. And the paintings on the walls and the unique cutlery make this place all the more special. The perfect place for people to grab a quick bite while on the way to work Beyond Bread offers a variety of light and delicious cakes, pastries and snacks to customers. Beyond Bread has its fast food outlets all across Tucson and is especially famous for its cinnamon raisin French toast. The ultimate cookie center in Phoenix, Urban Cookies offers a variety of treats in every flavor imaginable! From dark chocolate to oatmeal raisin, pineapple coconut and peanut butter cookies, you get everything here. As the name suggests this Phoenix bakery specializes in a variety of Middle Eastern delicacies such as pita bread, flatbread, baklava, ma’amoul cookies and Kanafi that is a dessert made with phyllo dough and sweet cheese. Famous for its empanadas that come in a variety of flavors such as cherry, strawberry, pineapple, and peach, this bakery also offers gingerbread figures, polvorones, and tres leches cakes that are a hit at parties. This is among Tucson’s favorite ice cream shops where you get a wide range of unique flavors like cinnamon, peppermint, coffee, and almond biscotti. Other than that Allegro is also famous for its cheesecake, pumpkin pies, and apple sorbet. Karl’s is a veteran in the world of Arizona bakeries. With a vast assortment of sweet treats like cakes and pastries, it’ll be hard to not buy one of everything. The bakery even hosts classes where you can learn how to bake the finest cupcakes and bread. View more Arizona Bakeries and Pastry Shops.